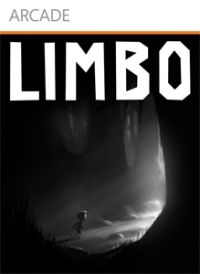 Limbo XBLA caught my imagination indefinably. From the very beginning it managed to exploit and manipulate my fears, fears both innate and inherited from a lifetime of gaming - and all to tremendous effect. 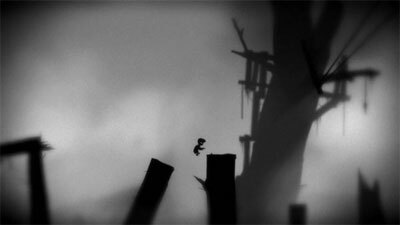 Waking in the world of Limbo nothing is explained. 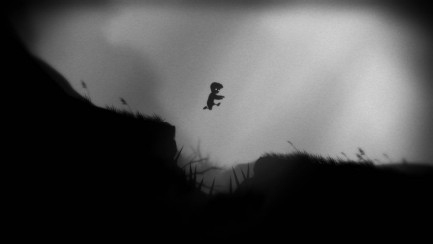 Pressing the start button I watch as a small boy regains consciousness. 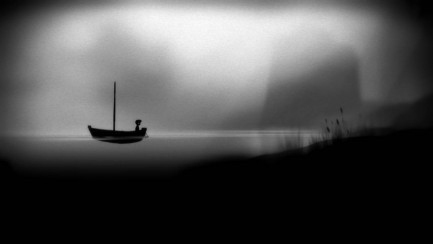 Together we scramble to find our bearings in the monochrome world. In a single breath the world is exquisite and terrifying. An indefinable solitude envelopes us; it speaks of safety but also of a loneliness that frightens. There is no sound, no life in this world. Dark trees tower in the solitude, their presence reassuringly familiar but their stillness unnatural. Finding our feet I drive the boy forward. Through the oppressive silence a few ambient cords strum, chilling as they reverberate. I would struggle to even recognise the sound again out of context. But within the moment its meaning is clear, and it is not good. A tree sits in front of me, its branches reaching out from a silhouetted form. I move towards it and watch as the it rise up towards the boy. Suddenly a single branch lashes out viciously impaling him up into the air. I shudder as the tree reveals itself as anything but. 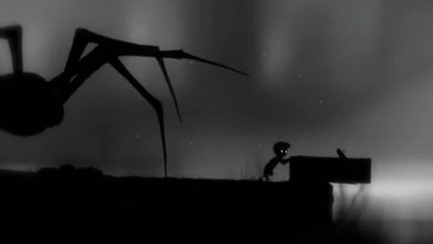 Instead, a giant spider, whose legs rather than branches had attacked, hauls is bulbous body from the shadows, the child impaled lifelessly on a single one of its enormous limbs. 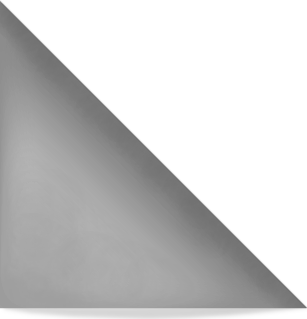 A spider. I almost say it out loud. 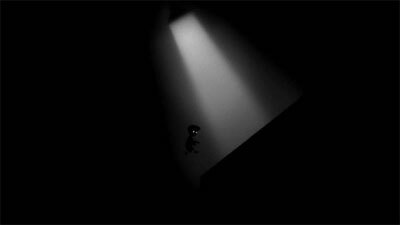 In the silence of this almost dead world a spider is the only life I've seen. A creature from birth we know to fear. Consequences are low, but their shocking nature is never muted as the young boy is sliced, decapitated, eviscerated and crushed merrily on his way. I am resurrected inches from where I died and looking at the same twitching legs I retreat to plan a more measured advance. 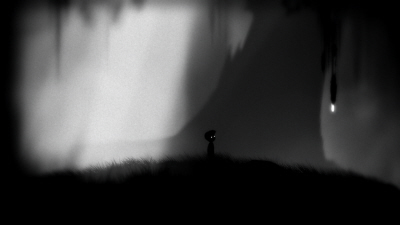 It is in these early lessons of Limbo that the game shows its craft. Death here is only a set back; any new area could spell a new and unexpected way to die. Consequences are low, but their shocking nature is never muted as the young boy is sliced, decapitated, eviscerated and crushed merrily on his way. It all works well. As I move on my heart is in my throat. An ever-present silence causes sporadic environmental noises to echo unnervingly. 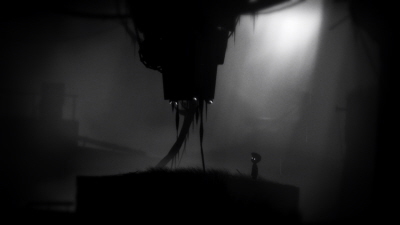 Surrounded by a constants beauty that hides unknown horrors, and puzzles that both fascinate and infuriate. Slowly the forest fades, past threats drop away. Nature, and the wildness that inhabits it are replaced by metal and industry. 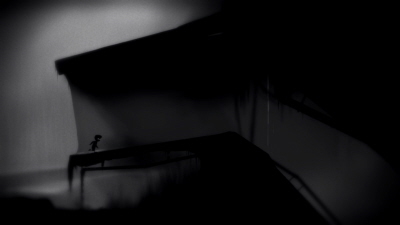 Limbo's game play takes on a more of a puzzle nature as hard angular lines replace unpredictability. This shift brings a more intimidating world with sounds shifting to metallic grinding tones and the hiss of hydraulics. Nagging tensions subside, replaced by joy at our escape from the dim serene threat of the world we have traversed together. 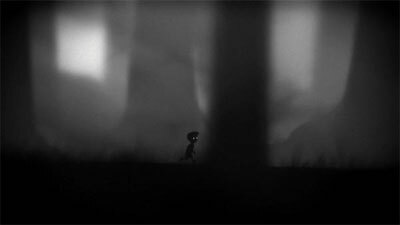 Where the outset balanced welcome and threat, Limbo now lets loose with pure un-welcoming industry. As the difficulty increases and our journey grows in hostility and Limbo starts to feel oppressive. 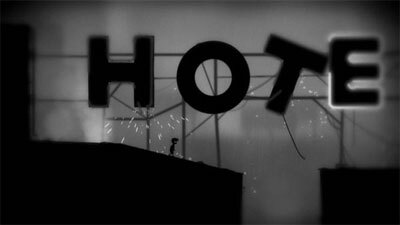 At times I wonder if I really want to play through this - it's just so sapping. But with my charge, the boy, I push on to reach his goal and happily it doesn't take long. The quest is shorter than I imagined and ends abruptly - but is none the poorer for it. 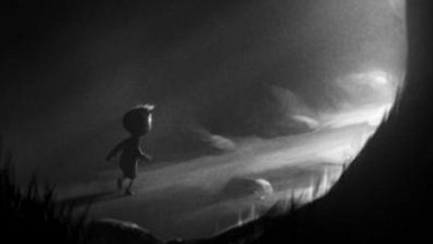 Within the beautiful shadow world he moves towards his reward. 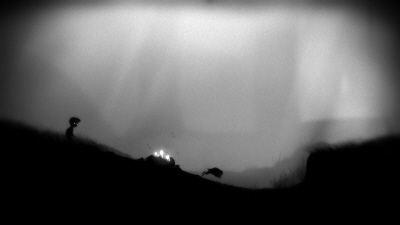 With the screen fading to black finally, after three consecutive hours of play, I feel at peace. Nagging tensions subside, replaced by joy at our escape from the dim serene threat of the world we have traversed together. Alex Beech writes the Scared Gamer column. "Games connect us to exhilaration in various ways. I love mine to scare me. Although the shock, horror and gore are all pretty unnerving, nothing comes close to the sweaty palms of playing games that take you to ridiculously high places - InFamous, Mirror's Edge and Uncharted to name a few."